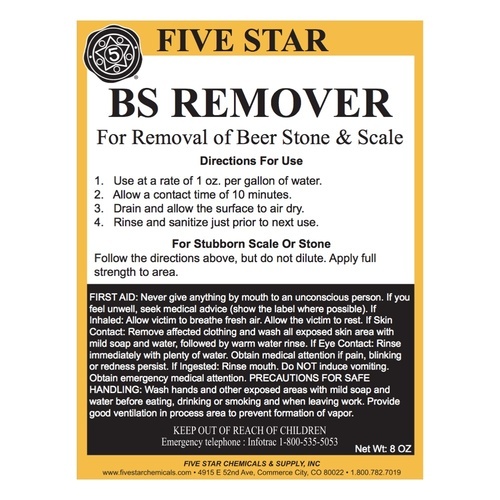 For removal of beer stone and scale. 1. Use at a rate of 1oz per US gallon of water. 2. Allow a contact time of 10 minutes. 3. Drain and allow the surface to air dry. 4. Rinse and sanitize just prior to next use. For really stubborn scale or stone, follow directions above but do not dilute. Apply full strengh to area. 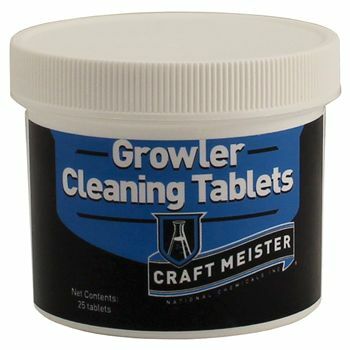 Craft Meister Growler Cleaning Tablets make cleaning your growlers unbelievably easy. The tablets fit easily through the narrow growler neck and work fast! 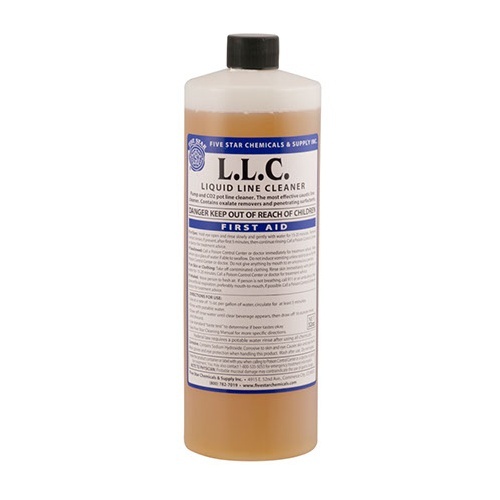 Liquid Line Cleaner is designed to clean beer lines. 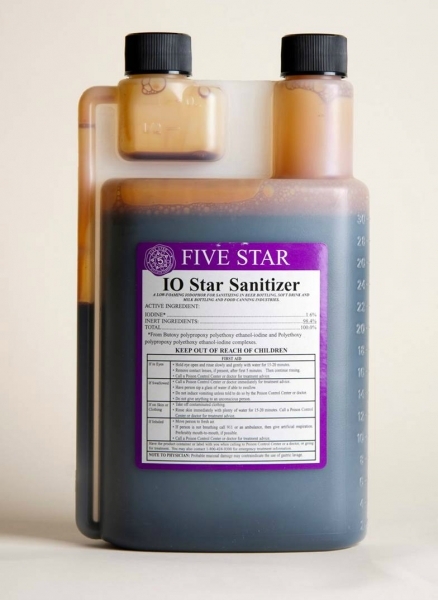 It is made from a proprietary blend of caustic cleaners that includes chelators and surfactants that are designed to completely remove beer and beverage soils from beverage lines. Use 1ml per litre of water and circulate or let stand for at least 5 minutes. Flush well with clean water. 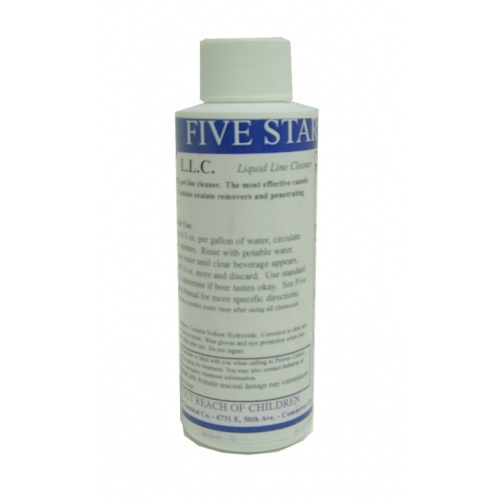 Widely used in commercial breweries across North America, the Five Star Powdered Brewery Wash is a buffered alkaline detergent that is a far better substitute for caustic soda cleaners. Powdered Brewery Wash is extremely effective in removing protein soils found on brew kettles, fermenters, conditioning tanks, and filters thanks to being formulated as a C.I.P. cleaner. A safe alkaline cleaner for everything in your brewing setup! 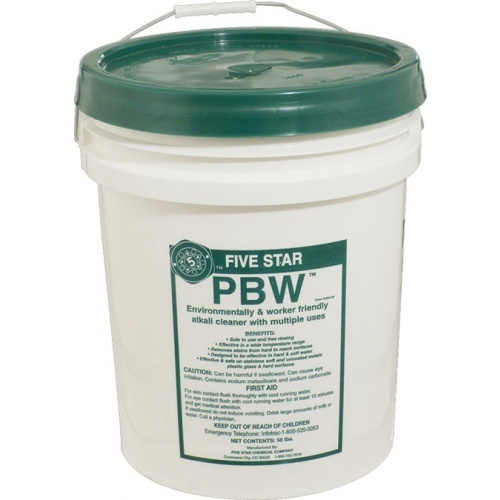 PBW (Powdered Brewery Wash) is a favorite of small home breweries because it out-performs caustic chemicals without scrubbing. Just put your kettle, bottles, carboy, etc. in for a good long soak. It will not corrode soft metals. Please be careful when you use PBW in enclosed equipment. When you mix hot water and PBW in an air or water-tight space, it will create pressure. drink-bottling, milk-bottling, and food-canning industries. A low foam, final acid anionic rinse for use in the meat, beverage and food industries. 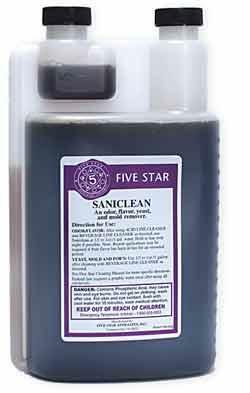 Like Star San but low foaming so it works well with Clean in Place systems or if your using a pump to circulate your sanitizer. Requires longer contact time than Star San. 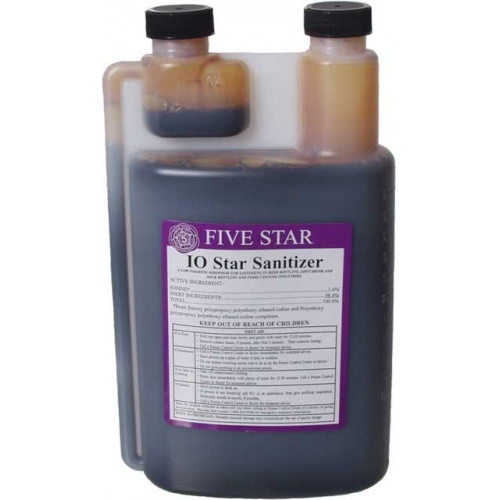 This is a no rinse sanitizer that is perfectly safe and non-toxic, nor will it impart any flavours or odors. Do not fear the foam! If you plan to add some to a spray bottle application, it is best to used distilled or reverse osmosis water to extend the life of the unused portion. A high foam, final acid anionic rinse for use in the meat, beverage and food industries. Dont fear the foam! 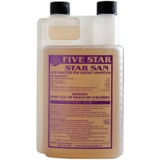 Star San foams to ensure acid contact time with the surfaces and the foam leaves no taste or odors. 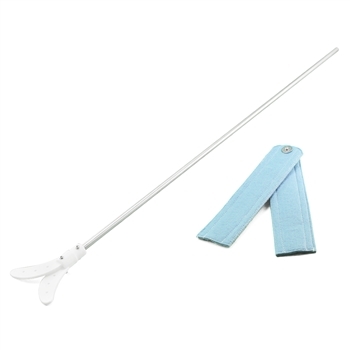 The Vortex wand is a great multipurpose wand that can be used for Aeration, Cleaning and Stirring. Simply fit the wand into your drill and use its power to save you time and energy. 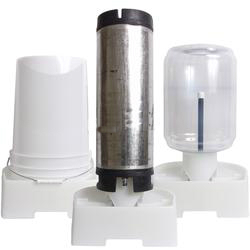 Mark’s Keg Washer™ is designed to clean and sanitize large vessels like cornelius kegs and carboys. It is also intended to provide a sanitation container for miscellaneous items such as airlocks, thermometers, tubing, keg fittings, and more. 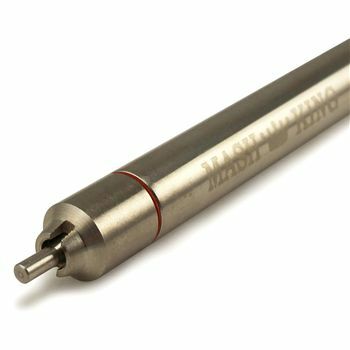 This Mash King Bottle Filler is made out of strong and durable 304 stainless steel and uses silicone gaskets. Silicone coupled with stainless steel makes this bottle filler sanitary and allows you to clean it with hot water which will eliminate any contaminants. The high build quality saves you money by allowing you to use it repeatedly saving you from having to constantly buy new plastic bottle fillers. This bottle filler also allows you to easily bottle directly from a keg. To use simply push the filler down on the bottom of the bottle until the beer reaches the top. After removing the filler the perfect amount of head space is created. To avoid contamination clean the entire unit with hot water.